Few neighborhoods have been stamped with the “up-and-coming” label as often as Bronzeville, a South Side neighborhood steeped in history. After a generation-long decline that saw many of the neighborhood’s stately graystones either boarded-up or demolished, a turnaround is almost certain, but the only question is how quickly. For the first half of the 20th century, Bronzeville was Chicago’s answer to Harlem: a vibrant neighborhood that served as the cultural heart of Chicago’s African-American community. Today, Bronzeville is in the midst of a transformation. The Robert Taylor homes and Ida B. Wells public housing projects have been razed, and in their place the Chicago Housing Authority has begun building several massive mixed-income housing developments. Although still a mostly African-American community, Bronzeville is becoming more diverse, as white, Asian and Hispanic newcomers are attracted to the leafy boulevards and large, inexpensive housing stock. Getting to and from Bronzeville is a breeze. 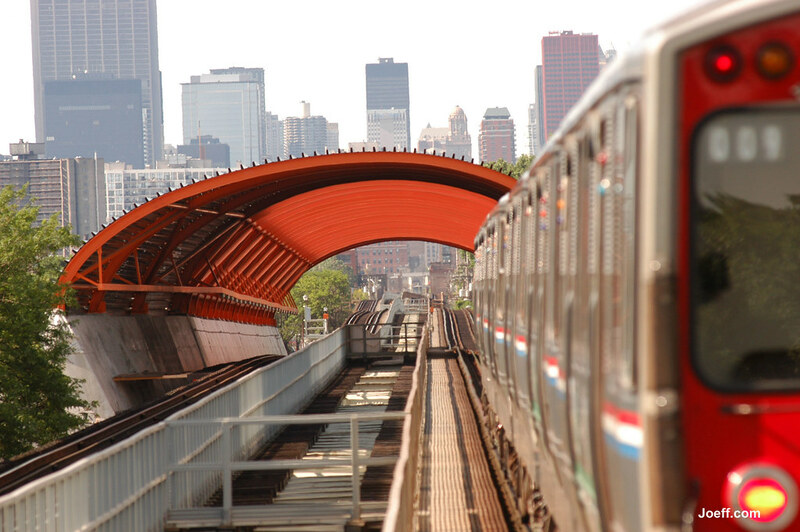 The CTA Green Line and Red Line both have stations at 35thStreet, and CTA busses run along 35th Street, King Drive, and Michigan Avenue. A new Metra station with Rock Island and South East service is currently under construction at 35th Street and Wentworth Avenue. In 2010, a new Metra station will open to serve the neighborhood on the Rock Island and South East Service. For motorists, the recently expanded Dan Ryan Expressway (I-90 / 94) borders Bronzeville to the west, providing easy access to downtown Chicago and Indiana. Bronzeville residents enjoy access to Dunbar and Southside parks, and the northern half of the neighborhood is a 10-minute walk from the 31st Street beach. Baseball fans also enjoy Bronzeville’s close proximity to US Cellular Field, home of the Chicago White Sox. 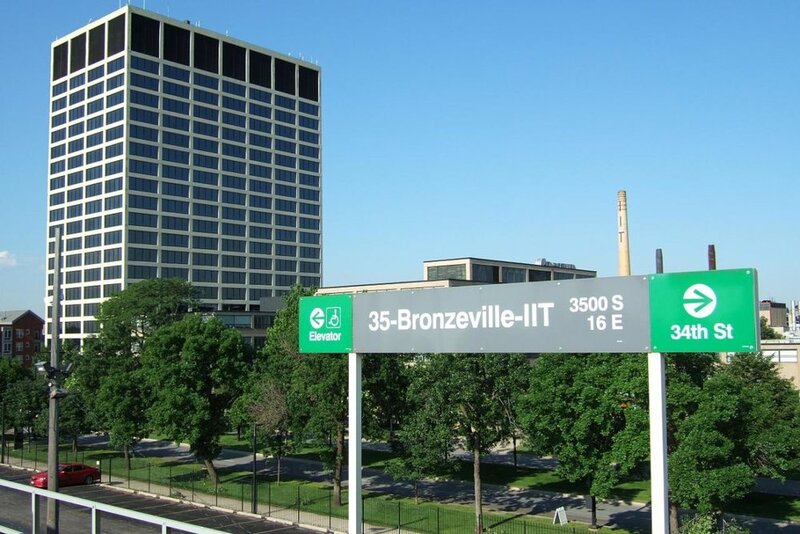 Bronzeville is home to Chicago Landmark Black Metropolis-Bronzeville District, and the annual Bronzeville Cultural Festival hosts a film festival, a book fair and a gala celebrating Bronzeville’s storied past and promising future. World-famous architect Mies van der Rohe once served as the director of IIT’s School of Architecture, and his distinct modernist design can be seen in IIT’s Crown Hall. CTA Green Line passengers are probably more familiar with the noise-reducing stainless steel tubedesigned by Dutch architect Rem Koolhaas. For primary school, Pershing West Elementary Magnet School is one of the best options in Bronzeville. Most of the homes on the market in Bronzeville are resale or gut-rehab condos and graystones from the neighborhoods existing housing stock. Despite forecasts that Bronzeville will be Chicago’s next “hot” real estate market, new-construction developers have been slow to embrace the South Side ‘hood, with the exception of a handful of small and mid-size condo developments. For the time being, Oakwood Shores and Park Boulevard, two large mixed-income developments in the CHA’s Plan for Transformation, are the main sources of new homes in Bronzeville. When completed, Oakwood Shores will bring 3,000 new housing units in the form of market-rate condos and townhouses, rental apartments, and public housing. New retail development in Bronzeville has been slow to materialize in recent years, forcing residents to do most of their shopping at the large retailers on Roosevelt Road in the South Loop. However, Bronzeville residents can do their grocery shopping at the large Jewel-Osco on 34th Street. For a good meal of jerk chicken or curry goat, J & R Caribbean Cuisine on Indiana Avenue is a good option, and the Park Boulevard development at 35th and State streets recently brought a new Starbucks and Jimmy Johns to the neighborhood.